Layer chickens are specially breed for the purpose of egg laying. Egg laying starts at 18 weeks with noted slump in 72 weeks. Popular layer poultry birds are Gold line, Lehman brown, Harvard white, Marshall Ross. The business requires huge startup capital, good location, appropriate utilities and labor. Proper waste disposal measures and feed management should be put in place. Vaccinate accordingly, develop an effective marketing strategy. Total fat content in egg are mono-saturated fat 4.1g, saturated fat 3.3g, poly-saturated fat 1.4g. Cholesterol levels in egg is high 373mg per 100 grams. Total carbohydrate is 1.1g, sugar 1.1g, dietary fiber 0g. To succeed in this business it is important to choose the best egg laying chicken for optimum production. The bird should be adaptable to your geographical location, rugged with good longevity. Physical characteristics differ from small, midsized or large with color variations golden brown, white, red, grey. Some have good feed conversion rate are capable of laying 200-250 eggs a year. Top egg laying chickens are Plymouth, Bernevelder, Hamburg, Rhode Island Red. Others are Sussex, Leghorn, different hybrids, Ancona and Marans. Choosing the right cage system for intensive egg production is mandatory. Different systems are Chore-Time Modular Manure Belt Cage System, parent breeder poultry cage. 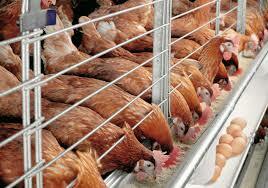 Others to consider are starter rearing cage, double or triple deck poultry cages. Equipment include automatic manure belt adjustment, automatic chain feeder, egg collection system or egg smart elevator. More are farm packers, residue treatment unit, enriched colony system, mobile housing, pullet rearing and poultry climate control. Double or triple deck poultry cages. Features of a good cage system are sturdy construction, spacing, cage door latch and height. Others are cage rows minimum 160 -230 meters, dual floor slope to improve egg roll out. Look for modular design features full frontal horizontal cage. The cage should be easy to assemble, good structural integrity, flexible cage floor, tighter mesh spacing. The business is registered as a sole enterprise with address in Lagos, Nigeria. However different registration options are available to investors. The investor can register as a partnership or limited liability company. Having a good business insurance is very important to safeguard the organization from unexpected problems like stock depletion, disease or fire. Work scope involves layer poultry farming for egg production. 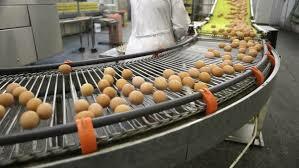 The eggs are sold to wholesalers’ retailers, hotels, restaurants, bakeries. Product is quality, highly nutritional chicken eggs. We will sell spent birds, process meat for open market. Other products are free-range eggs, hatching eggs, brown/white eggs. Purpose of production is table eggs from layer poultry birds in battery cage system. Production capacity of 120 crates per day at a rate of 30 eggs in each crate. Chicken population of 3600 with extra 20 hens to make up the difference. Expected revenue generation is based on current price of crate of eggs, farm maintenance, feeding, and transportation. Point of lay birds generally get spent with reduced production after two years. Spent birds will be replaced with new point of lay hens. Poultry eggs are in high demand and attract good price. Poultry production involves meat production, table eggs. Other poultry used in egg production include ostrich eggs, turkey eggs, duck, quail eggs. Objective is to provide quality products, reduce unemployment, poverty alleviation. Mission is to produce eggs through intensive poultry farming. Vision includes employment generation, wealth creation and egg production. Purpose is to contribute to economy, create employment opportunity. Others are wealth creation, build customer relations, and meet demand of customers. Success factors are hinged on housing, business expertise and finance. Other critical factors include bird nutrition, availability of clean water, farm management, feeding, administration, biosecurity. Management: management covers epidemic, diseases, feeding, cleaning, and disposal of waste. Feeding: is a critical part of egg production with emphases on good nutrition, availability of clean water. 14 tons of quality feed can feed 4800 birds per month. Expertise: it is important to have experts access the bird’s health, production, caged environment. Experts include veterinarian, nutritionist, marketers and sales professionals. Pricing: Pricing is important to the success of the business. Make sure the price is competitive and in line with competitors. 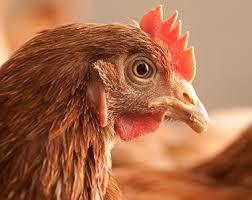 Financing: poultry egg production is capital intensive requires appropriate funding. Funding is needed for purchase/lease of farm land, construction of hen house, purchase of layer cage system. Other funding requirements are purchase of birds, layer feed, medication, labor. Funding sources are micro-finance banks, bank of industry, personal savings, partnership, friends and family. We will hire or partner professionals in the field. Qualified competent hands include cleaners, operation officer, human resources and admin manager. Others are front desk staff, accountant/cashier, farm manager, marketers. The chief executive offer roles and responsibility are communicating, strategizing, and implementing the vision of the farm. General farm manager will oversee daily activity, supervise, advice. Human resources is responsible for hiring, employee evaluation, and administrative work. Accountant is responsible for the financials while sales marketer is to find new customer base. Front desk staff deal directly with customers, takes orders, carry out administrative duties. Field staff take care of waste, hygiene, cleanliness of environment and feeding. Poultry eggs are in high demand competitively priced. The industry is huge with many producers, however the production falls short of demand. Average employment determinants are three people first year with increase of two persons per year as production increases. Farm infrastructure includes bird housing, farm house. The farm needs a perimeter fencing, borehole or well. Provide waste disposal area, cages, storage facility for feed. Add an egg storage area, crates, appropriate lighting and farm equipment. Production capacity depends on the number of birds on the farm. Other parameters are breed of bird, egg production per day, size of egg. Each layer hen is capable of laying an egg every 24 hours. Point of lay birds 14 weeks old will start laying from 20 weeks, peak at 30 weeks, sold 70 weeks of age. Farmers generally have outlet store for wholesalers, retailers. The store serves a dual purpose of storage facility and sales outlet. Serious biosecurity measures is essential for health of birds. Biosecurity measures include leg/car dip, disinfectant. Cost of production is predicated on feed, utilities, farm management, warehousing. Others are transportation, cost of hens, equipment. Projected cash flow is determined on how many crates are produced daily. Revenue depends on number of eggs sold per year. The business is highly competitive and very saturated. To compete favorably write a business plan, carry out a feasibility and study the competition. We will sell to wholesalers, retailers, market women. Customers include restaurants, hotels, bakery and households. Proper marketing is essential to the success of the business. Marketing includes selling to wholesalers, retailers, sales outlets. Advertise the products on radio, television and newspaper publications. We will print complementary cards, posters, banners and billboard.